That is, words are empty unless backed by experience, says Robert Frager. People will not change until they hear from those who have lived what they teach. Frager has indeed lived his teaching. Founder of the Institute for Transpersonal Psychology in 1975, in 1976 he became a student of the Sufi master Muzaffer Efendi. Since becoming a sheikh in 1985, he has given many sohbets-a Turkish word for the spiritual conversations Sufi teachers hold to inspire their students. The sohbets he presents here are compiled from his talks over the past decade and represent Sufism as it is now practiced in the United States. 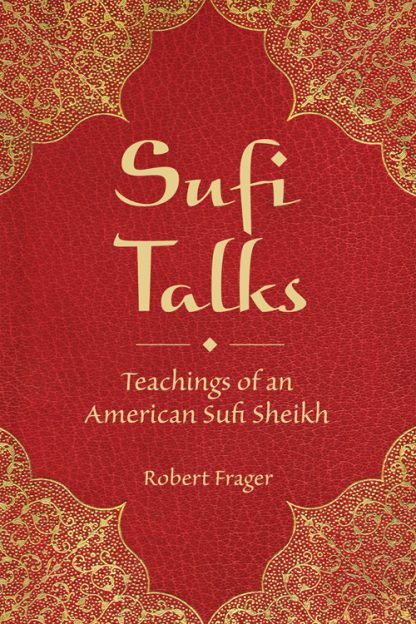 Frager believes that the wisdom in such talks flows through the sheikh from his teacher and his teacher�s teacher all the way back to the Prophet Mohammad and God; the sheikh is merely a channel for something greater than any individual. Moreover, these talks are not lectures but rather living connections going both ways between heart and heart. Indeed, the warm, personal immediacy to Frager�s voice is rarely found. Like the tales of Nasruddin, he teaches through colorful anecdote and metaphors. Sufi practice has two sides, he says: one is to develop our love of God; the other is to become less self-centered. We need both, just as a bird needs both wings to fly. �How can I put my knowledge into practice?� is the question we must ask. As the Qur�an states, those who fail to live by their understanding are like donkeys carrying a load of books. The books won�t change them. They can carry the holiest books but will still be donkeys. Among the practices Frager teaches are zikr, or remembrance of God through chanting; halvet, or spiritual retreat; and adab, or �right action.� Thus do we develop character-or, rather, restore the character we had at birth. �I�ve never seen a baby with a bad character,� he says. �We are all born in a pure state. With hard work and God�s blessings we can return to it.� Other topics include Obstacles on the Path, Reducing Narcissism, Inner Work, Prayer, Marriage, Generosity, Taking Responsibility, and Waking before We Die. No matter what one�s religion, the reader will find such universal wisdom in this book that he will agree with Frager�s teacher Muzaffer Efendi who once advised, �You can tell these stories ten thousand times and people will still benefit from them"